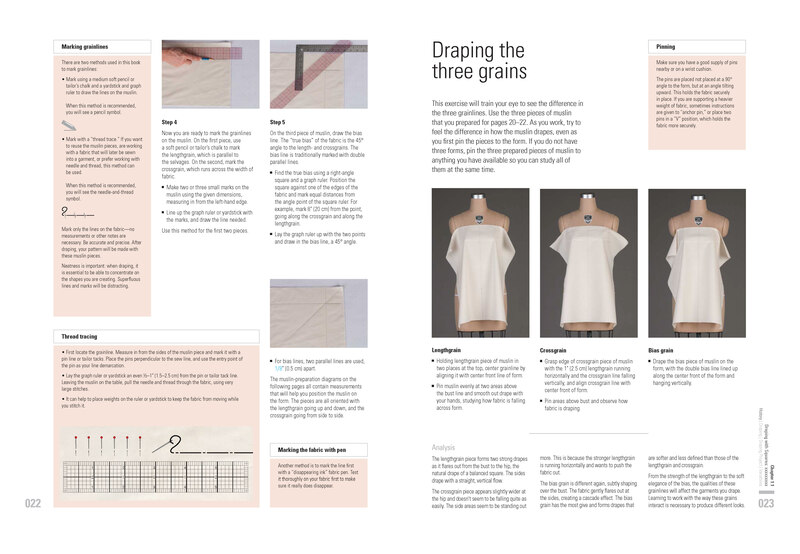 These two pages (click image – and then you may have to click it again – to embiggen if desired) walk you through a bit about marking and draping the grains. The upper left hand box describes the two methods used in this book to mark grainlines: with a pencil or chalk line or by thread tracing. There are even detailed instructions on how to thread trace. I like how Karolyn suggests using both a line of pins and a ruler to help keep the line straight during the actual act of tracing. And, if you need more guidance, a little DVD icon next to the text (I just realized those DVD icons are not in the images I was sent for this review – trust me that they’re in the actual book!) tells you that you can watch a lesson on thread tracing using the accompanying DVD. Yes, you read right. This book also comes with a DVD. So, you not only get a text book, but you also get a classroom video. Now we’re really talking about a complete course here. The lesson on the right is all about understanding draping along the lengthwise, crosswise, and bias grain lines. Notice how the three identical pieces of fabric fall differently based on which grain line is vertical. Karolyn suggests you pin all three grain-marked muslins up at the same time, one for each type of grain, so that you can compare and contrast them together. Karolyn also includes a suggestion on how to pin (see upper right box) – namely, at an angle tilting upward. In addition, for heavier fabrics you may need to use two pins in a V to securely anchor the fabric to the dress form while draping. 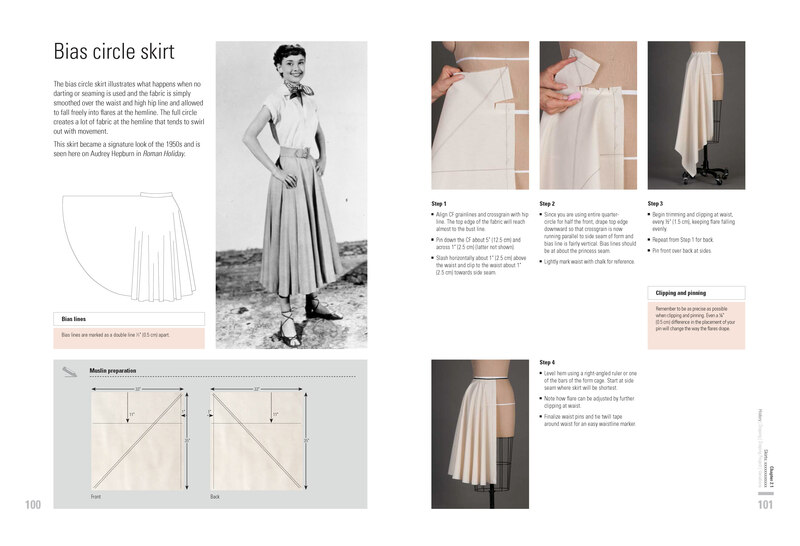 These next two pages (again, click image to embiggen if desired) are all about draping a bias circle skirt with an Audrey Hepburn image as inspiration. I’ve made a circle skirt before, but not by draping. I made a flat pattern using Elegant Musing’s Circle Skirt Sew-Along. I like how the act of draping a circle skirt actually makes me think about how to get the lengthwise, bias, and crosswise grain lines all hanging vertically together. It’s interesting thinking about where the grainlines might be on all the some-fraction-of-a-cirlce skirts I’ve made in the past (see my peplum for an example). Now I want to be more careful when I’m drafting skirts so I can better understand how my decisions are going to affect my final garment. 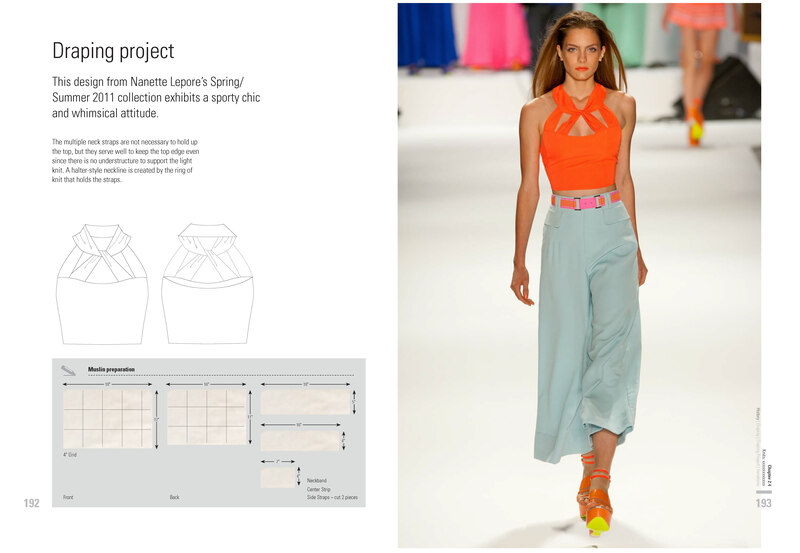 These final two pages (once again, click image to embiggen if desired) I have to show off from the book are the introduction to a six-page draping project designed around the orange halter-neck knit top the model is wearing on the right. It’s from Nanette Lepore’s Spring/Summer 2011 collection. And, it’s one of the many examples from this book that make it seem like a pattern can be made for anything from the runway, fashion magazine, or store window with just a bit of muslin, some pins and twill tape, and a nice dress form. The draping for this halter top is broken down into four steps, most of which have smallish sub-steps. 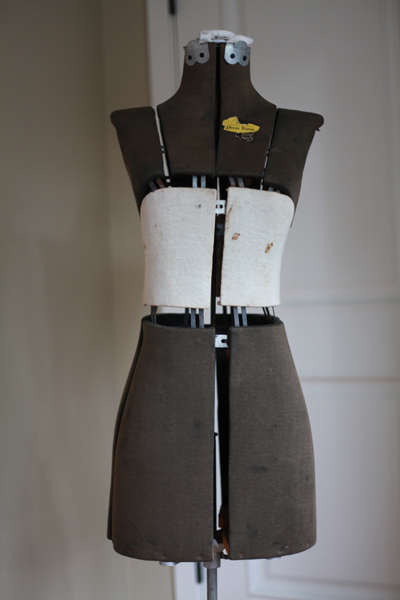 Draping is followed by marking and truing, an additional two steps with sub-steps. With the pattern draped, marked, and trued, the next assignment is to analyze the pattern: compare it to its inspiration, think about stretch utilization, etc. Finally, the book pairs the top with a pair of pants draped in an earlier section (the very same pants shown above, and, yes, this book even shows you how to drape pants! ), and Karolyn asks the reader to analyze the ensemble. I really like her tips here on garment coordination, proportion, detail, and movement, and I hope to start reminding myself of them daily as I’m picking out what to wear or planning my upcoming sewing projects. I really want to get in and start one of the draping projects from Part I: Beginning Draping. The three draping projects in this section are Diana of Versaille’s garment, Audrey Hepburn’s dress in Breakfast at Tiffany’s, and a Christian Lacroix bustier. None will work with my baby bump right now, but all would be a great exercise in draping regardless. The first thing I need to do though is figure out if I can actually drape using my dress form. A dress form is a requirement for this book. In the section on Tools and Preparation, the dress form is discussed before fabric is even introduced. All of the dress forms Karolyn uses in the book are Wolf Form Company forms. I’ve often searched on Craigslist to see if anyone my size just happens to be over sewing and looking to get rid of their Wolf form, but I’ve never had any luck. I’m not even sure how to know what size of form I need exactly since they come with numbers like 6, 8, and 10, not measurements. Since I have a dress form that I inherited from my Grandmother, I’ve never been able to justify buying a brand new fancy form. I’ve often wondered about making a dress form that would exactly match my shape (I think they have classes at the Sewing and Design School in Tacoma for just that, too! ), but I’ll now have to wait quite a while before my own size stabilizes again. Until then, or until I can justify buying a fancy dress form, I’m hoping I can figure out how to pad out the one I have enough to define the bust, waist, and hip and support the pinning necessary for draping. Karolyn recommends padding out fancy forms with 5″ strips of cotton felt, so perhaps I can fill in the gaps between my dress form’s adjustable pieces and then wrap the whole thing in strips of cotton felt. What do you think? Could it possibly work? I hope some of you are as excited about this book as I am. I think it would be fun to go through one of the draping projects as a community. A bunch of Bay Area bloggers just got together at a Britex Pop-Up event with Karolyn Kiisel herself and draped Audrey Hepburn’s dress in Breakfast at Tiffany’s. We could have our own little draping event, only ours would be virtual of course! If you are interested in getting the book, it will be released October 1st – just a few days away! 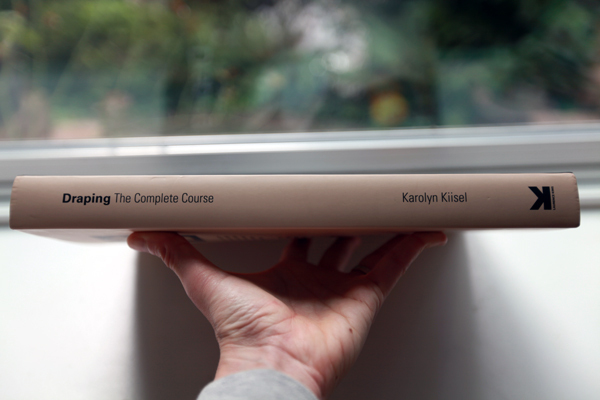 But, if you can’t wait, you can pre-order Draping: The Complete Course right now for nearly 40% off the cover price. Yay for sales! a great review, thank you. im so keen to check this book out!! I can’t wait to get my hands on this book. I have been spying it for awhile now and happy to see that a lot of bloggers are excited about it. Mine is also paperback. It’s thick paper though, which makes it look and feel similar to a hardback. Ok, thank you. I am very excited about the book. I really do not know much at all about draping, and my chances of attending a class in the near future are 0. I daresay the book will supply me with plenty of learning material! Wow, that is one gorgeous book and sounds fascinating. I’ve never really stopped before to consider drape; just the hand and drape of the fabric and the grainline when I’m cutting out. This has really piqued my curiosity though. As it’s my birthday in November I can see a wish list addition being made! I want that book! I’d love to learn draping, but I don’t have a proper dress form, just a decorative one that I bought because it’s only slightly larger than I am so I thought I could make it work. If you choose a looser fit or knit for the draping event, count me in! I can’t afford a custom dress form for the more precise styles, but I really want to learn the techniques! I am adding this book to my wish list! Thank you for your thorough review! Also, regarding your questions about padding a form–I work in a theatrical costume studio where we drape, pattern, and construct custom clothing for our artists of greatly varying sizes, so padding the form is probably one of the most critical steps in the process! I can definitely vouch for using strips of felt, (you can also use cotton batting, since it’s easy to come by, only slightly loftier so a little goes a long way) and fine-tune and firm-up areas using bias cut strips of muslin since it will conform to curves well. We will also make covers for the padded form by simply seaming tubes of spandex to keep all the padding from shifting, and to help smooth out any little bumps. 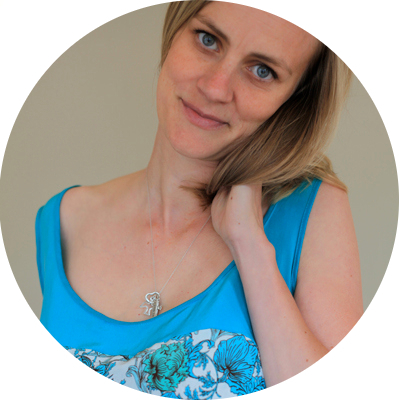 I have an inexpensive adjustable form for my personal use, and this method has worked well for me. It can eat up a lot of pins though, so heads up. 🙂 Hope you find this helpful, and I hope you have fun with it! Oh what fun to learn draping. I also do not own a dress form. I would think padding the form like Kristin recommends above would work. I look forward to seeing your progress. The idea of draping terrifies me 🙂 It’s too… fluid, but that book (at least the screenshots you’ve posted of it) looks like it make so much sense! I think I’ll pick it up when it comes out! Good review, thanks! You lucky thing you!! Draping is something I would dearly love to learn how to do, and certainly as far as impressions from pictures go, this looks quite detailed. I might have to put this on my Christmas wish list…. Wow,what a review! Which leads me to want it. 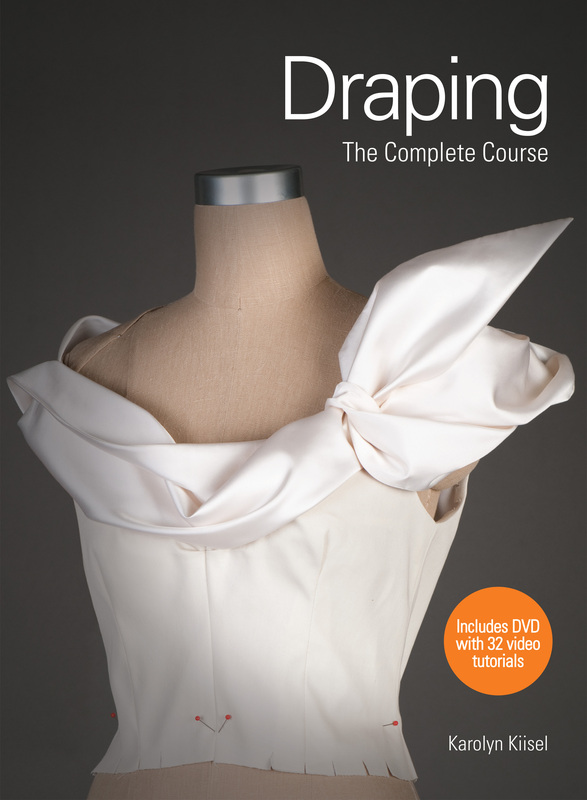 I am a bit afraid of draping but this book seems so comprehensive that I might just be able to do it! I made a body form of Duct tape last night! Haven’t tried using it yet. I fear the tape messing up my pins and, in turn, fabric, so I think I am going to glue gun some felt over it so I can pin to that instead. Don’t ever part with your Nana’s wonderful model! It is EASY to make what amounts to an over-dress for her, for draping: get some calico, some thick wadding, your tape-measure and quite literally make her a polo-neck-dress, padded to match YOU. 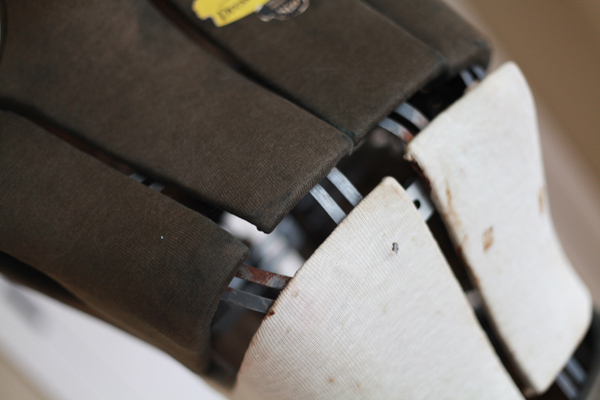 This pad will be your pin base for draping and fitting. I’ve been thinking about buying this book for some time now. Thanks for the review!